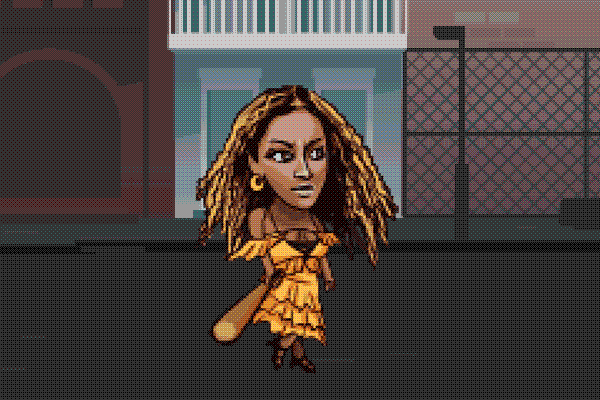 Lemonade Rage, an 8-bit style side-scrolling browser game in which you play as Beyoncé using her baseball bat to break windows like Queen Bey herself does in the "Hold Up" video. This game was an idea we had when the Lemonade film came out. We fell in love with the 'Hold Up' video and thought it would make a really fun game. We launched it with the Grammys, so when people were feeling like she got snubbed, the fact that she's running through the street smashing stuff we thought would resonate pretty well with people. It turned out it did and this game immediately went viral. 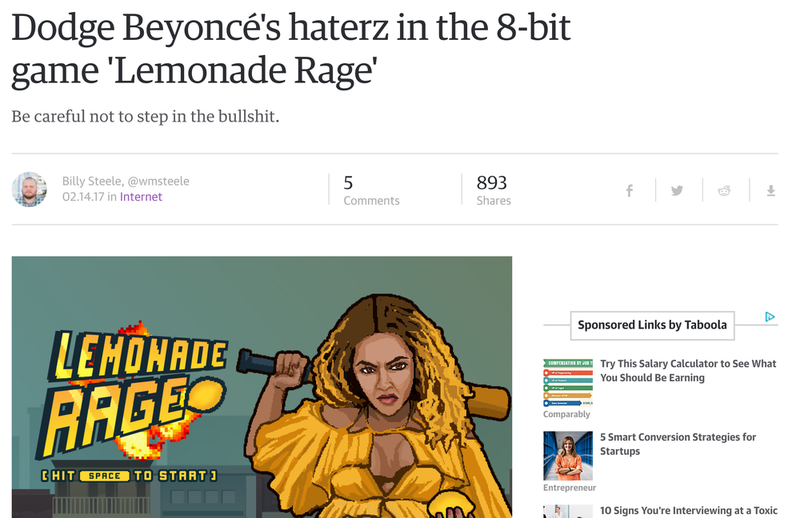 The Lemonade Rage Game was made together with Joe Laquinte, Justin Au and Colby Spear.